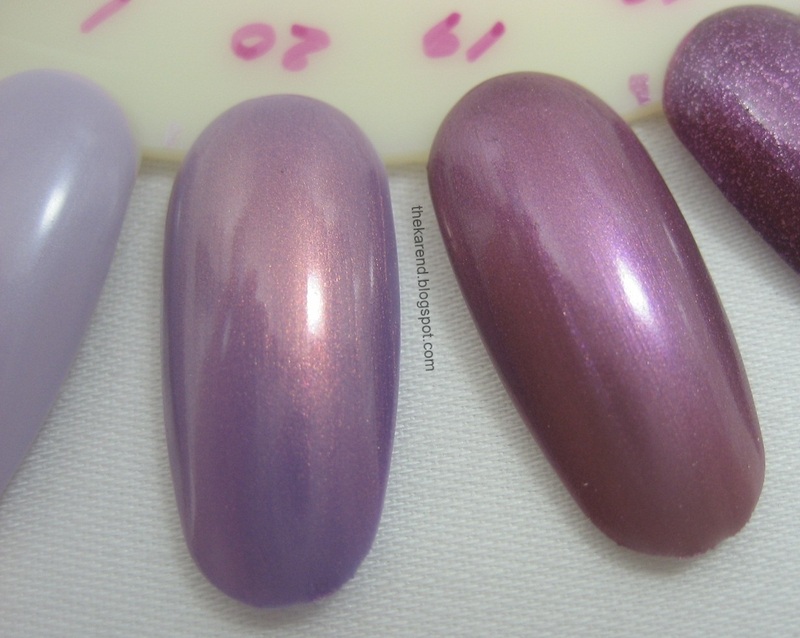 For this Leap Day edition of Nail Wheel Wednesday I have lilac shimmers. Or maybe they're light plum. 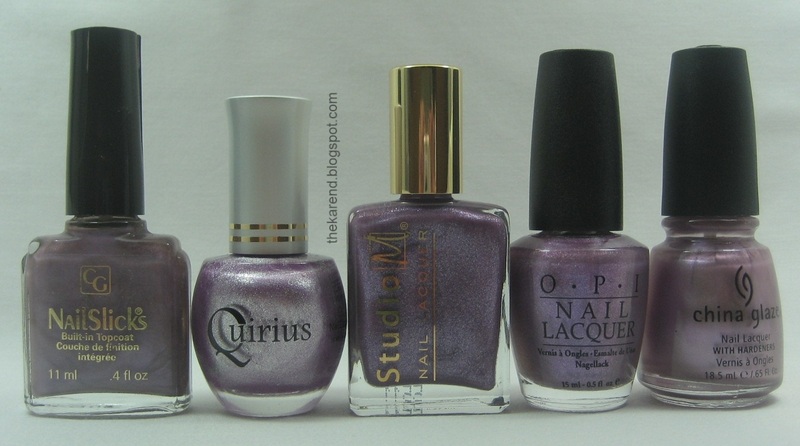 Or violet. Even though purple is my favorite color, I haven't figured out which shade names should go with which variations of the hue. 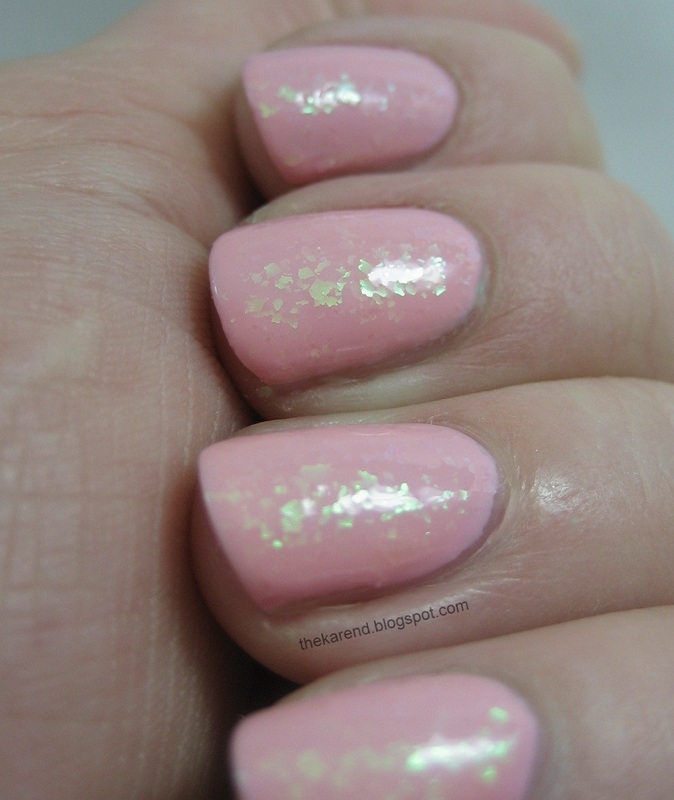 Today's entry is an overdue thank you to mrsrexy, ask the Canadian Nail Fanatic. We've swapped several times, so when a package arrived from her out of the blue one day some weeks ago, I thought perhaps I'd somehow forgotten we were doing another swap. 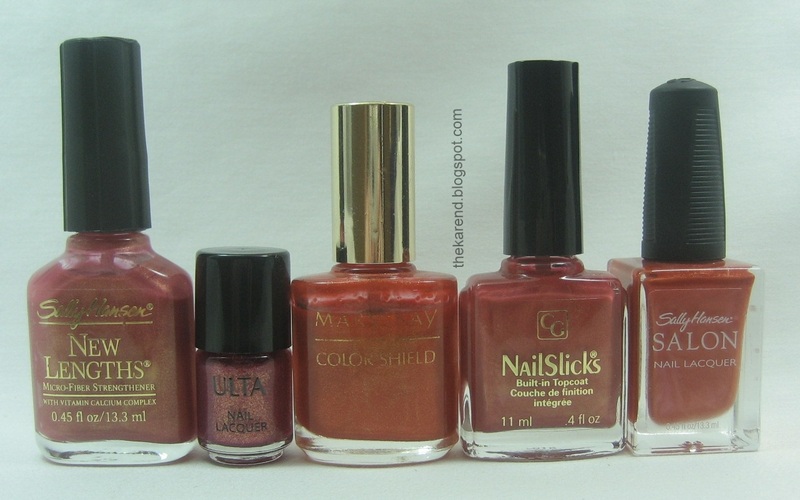 But no, when I opened it, there was a sweet note from her and lots of polishes I can't get here that she knew I'd like—she'd seen them and just bought them and sent them to me! I was so touched. A bit after that, we did do a swap, in which she sent me a bunch of things from Icing (which doesn't seem to want to put stores in any of the places I shop regularly, and heaven knows I do shop regularly). One of the beauties she got me was Icing After Party, a very interesting glitter with shreds of color in it rather than uniform glitter bits. The color scheme of this one is different than anything else in my collection: mostly lilac, teal, and orange with highlights of gold and silver. 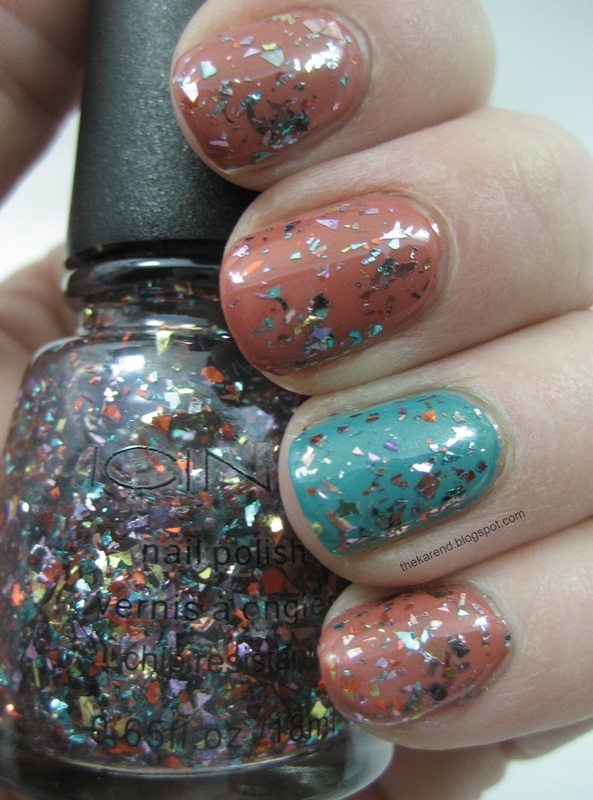 When deciding what to use as a base for After Party, I noticed two colors in my recent acquisitions that looked like they'd coordinate well: Sinful Pandora and Confetti To Teal to Handle (yeah, they used to instead of too). Both of those are shimmers. I used two coats of Pandora on most of my fingers, then put two of To Teal to Handle on my ring finger as an accent, and followed with two Coats of After Party. I like this combination—it has a sort of American Southwest feel to it. I do want to try After Party over purple; I think that would look great. I also tried a couple of the surprises mrsrexy sent, both of which are things I likely would have picked up for myself if I'd ever seen them anywhere: F.A.W.N. 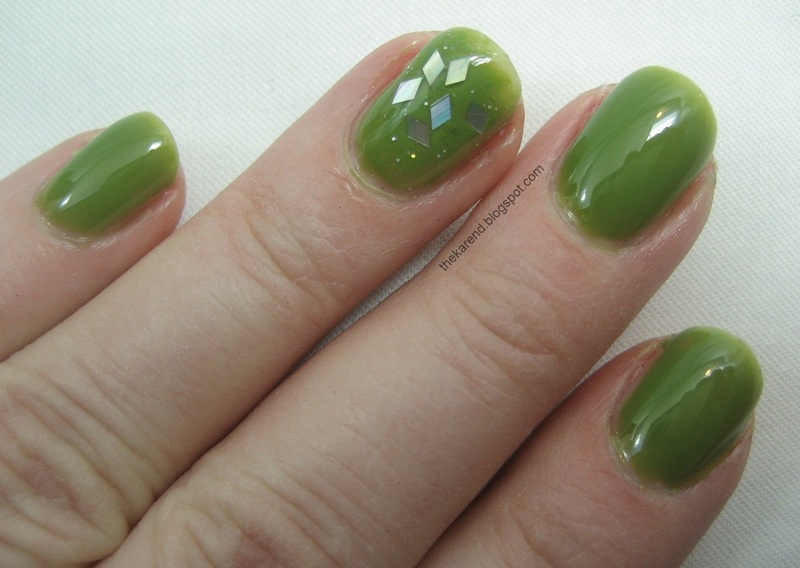 085, an olive-y green creme, and Naturistics Super Shine Ice Crystals, a glitter dominated by holographic diamond shapes. The green surprised me by being quite jelly-esque and squishy; I used three coats plus top coat. I didn't want to waste the glitter since I don't have any others of that shape, so I just did thumb and ring finger accents with it. 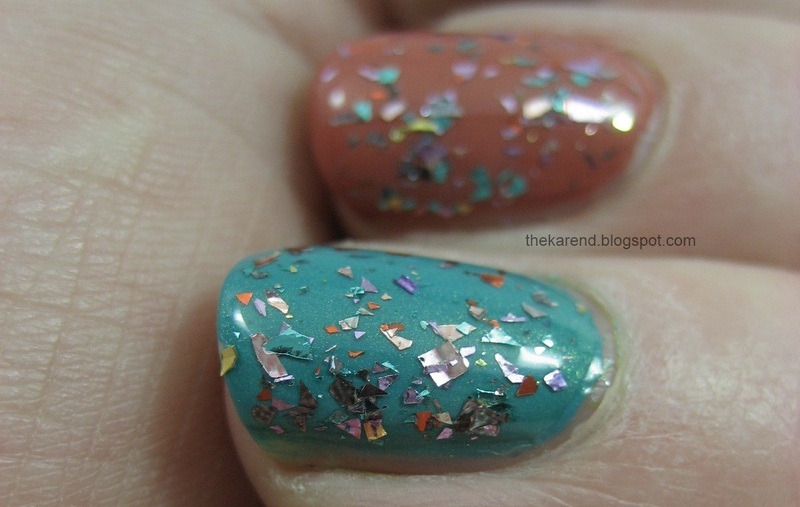 I wish I'd managed to get some pictures of the glitter showing off its holographic color shift; it's quite eye catching. 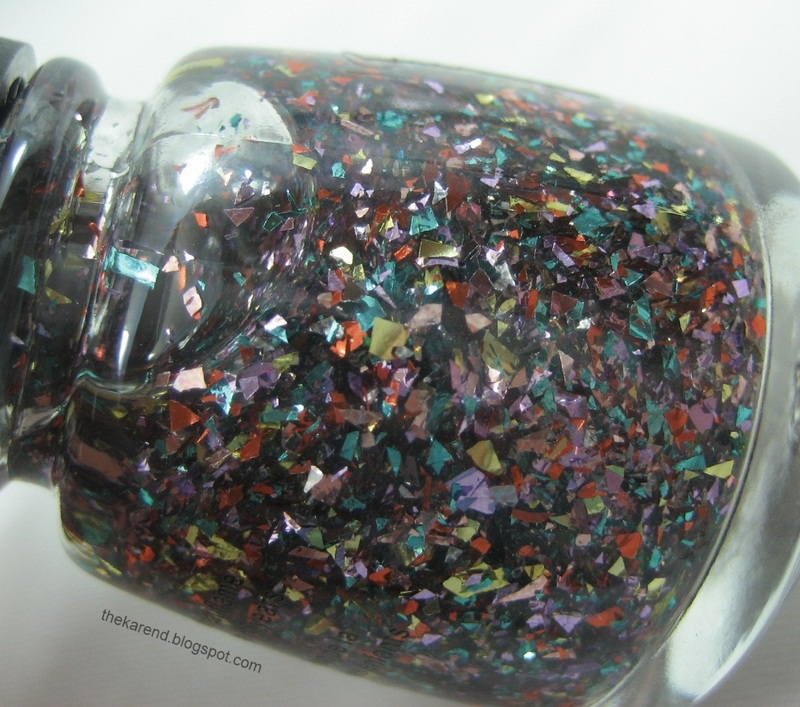 You might have noticed there was some bubbling going on in between the glitter bits—I decided I needed to thin the glitter after doing a test swatch and am pretty sure I didn't give it enough time to settle after I shook it to mix in the thinner. That or it doesn't get along with my trusty Sally Hansen top coat. 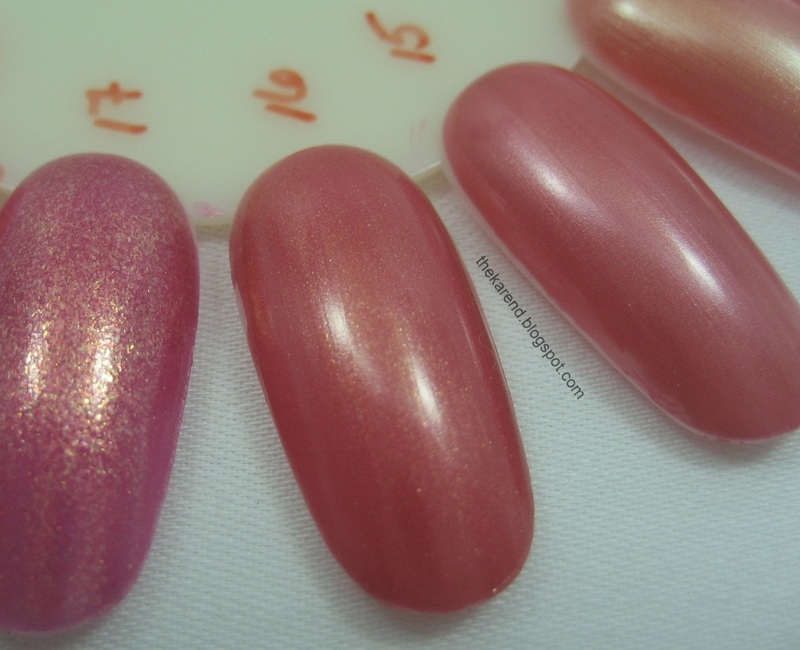 I know I'll be trying this glitter again so maybe I'll do a topcoat test at the same time. Thanks again, mrsrexy, for all the pretties! I meant to post about this look closer to the time I wore it but got distracted. 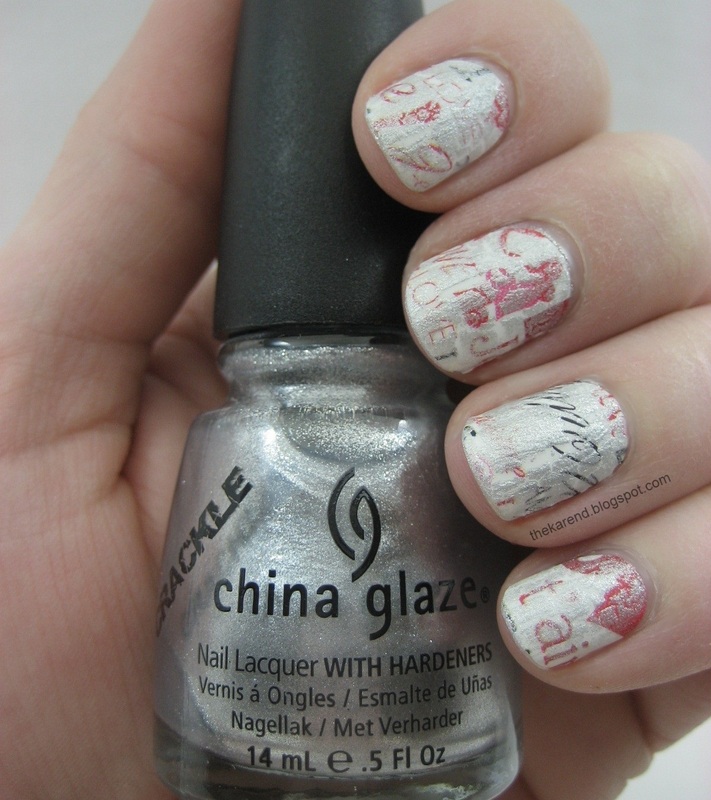 Once Valentine's Day had passed, I wanted a change from the Sally Hansen Love Always strips, but didn't have time to do a full mani, so I turned to my friend crack and added a layer of China Glaze Platinum Pieces. 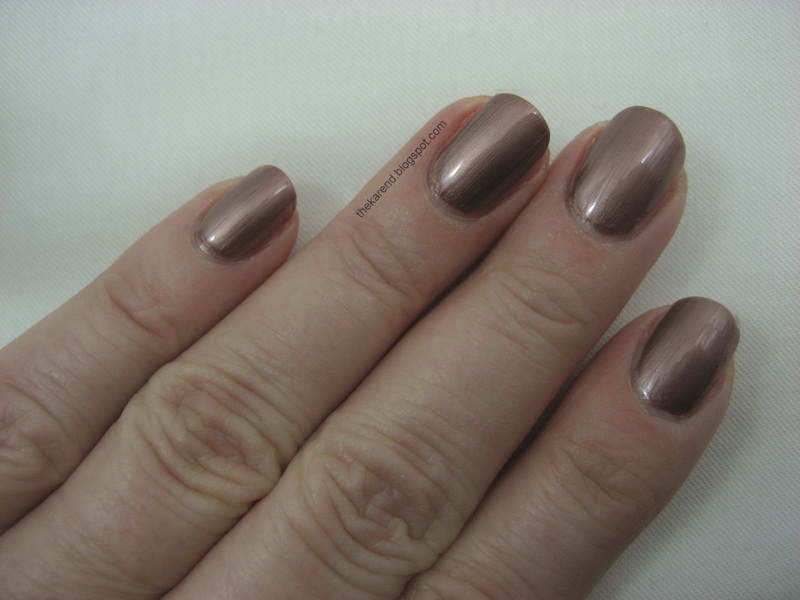 I finished with China Glaze Matte Magic topcoat to tone it down. I liked the effect—the strips design was still visible but not so in your face with the love and the hearts, which I think most people had their fill of by then anyway. A programming note: my schedule for the next week or so is going to be a bit more random than usual so my postings and replies and such will probably be showing up at different times of day or not at all depending on when I'm able to be at my computer. Blogger recently changed their word verification so instead of getting one clear word that I could usually read and retype fairly quickly, there are two distorted words. At first, one of those was obscured with a background blob, which made it even less easy to decipher. This new setup, even de-blobbed, is not really working so well for me, as my eyesight is strained enough as it is and my patience is not sufficient for me to keep trying if don't guess right the first time. If you have word verification turned on for your Blogger blog and notice I'm not commenting as often as I used to, it's not that I don't like you anymore, it's that I'm too blind and cranky to deal with the wonky words. If you have both word verification and comment moderation turned on, please turn off word verification, because the reward for figuring out the code should be a comment that posts immediately. Why make your commenters jump through hoops to get into your comment section if you've also got the door locked on the other side of the hoops? If you only have word verification turned on, please consider turning it off to make life easier on people who want to comment. I haven't had it on in a long time and get very few spam comments, mostly because I don't allow Anonymous comments. The spam comments I do get, I mark as spam to educate the automatic spam detection code and then delete; it's easy. 1. Click into Design mode. 2. Click on Settings tab. 3. Click on Comments link. 4. For "Who Can Comment?" select something other than "Anyone"; I've found it's Anonymous users who generate the most spam and/or drama. I've got mine set to Registered Users. 5. For "Comment Moderation", select "Only on posts older than ___ days", since some spammers like to hit old posts where they think you might not be paying attention. I've been gradually setting this number up; now I've got it at 200 days. 6. For "Show word verification for comments? ", select "No". 7. Click Save Settings button at the bottom. All that said, over the past few days I've had a persistent spam commenter visiting my blog. I have contacted Google about them (this person has a Blogger profile) and am marking the comments as spam and deleting them as soon as I notice. If this person's behavior continues, I may turn on comment moderation for a while until they give up. In the meantime, the links they're leaving are helping me build up my list of companies to never to do business with. So, to sum up: if you're using word verification on your Blogger blog, please think about turning it off, and if you notice I've started to moderate all comments, know that there's a slimy SEO spammer to blame and once he slithers off I'll go back to my usual setup. 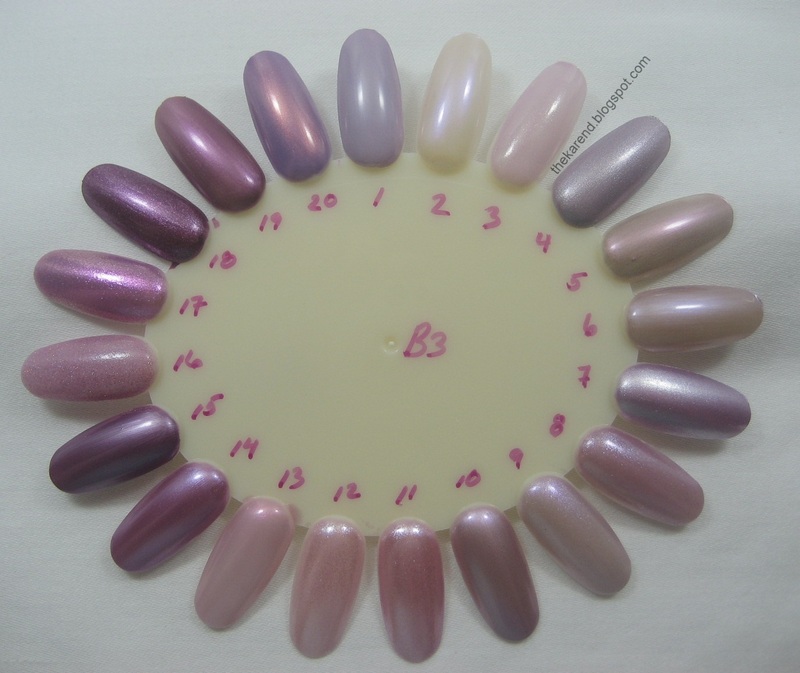 Today I have some polishes to share courtesy of Barielle and my friend Lucy, who did all the work to get these for review and will post her own entry on them once they make it across the ocean and into her stash. 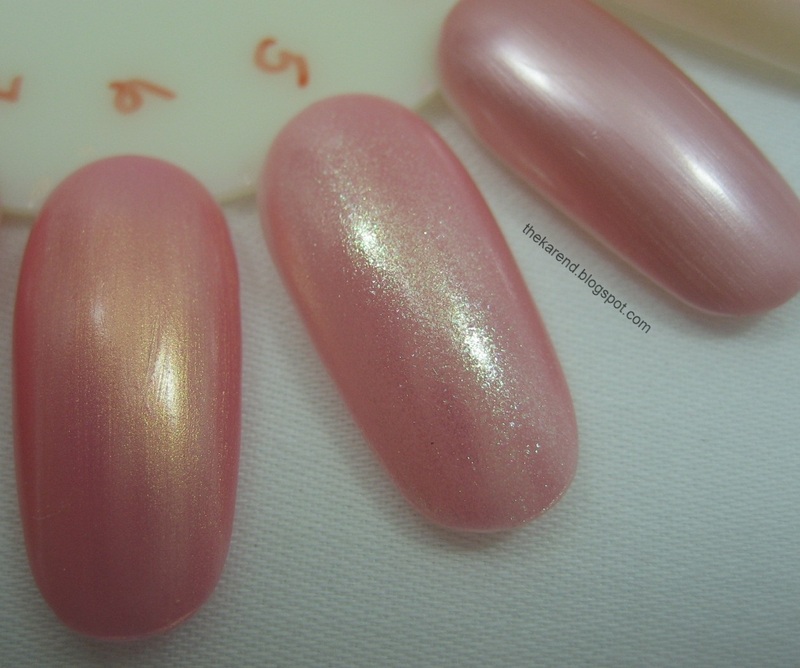 First up is Pink Quartz, a candy pink creme. 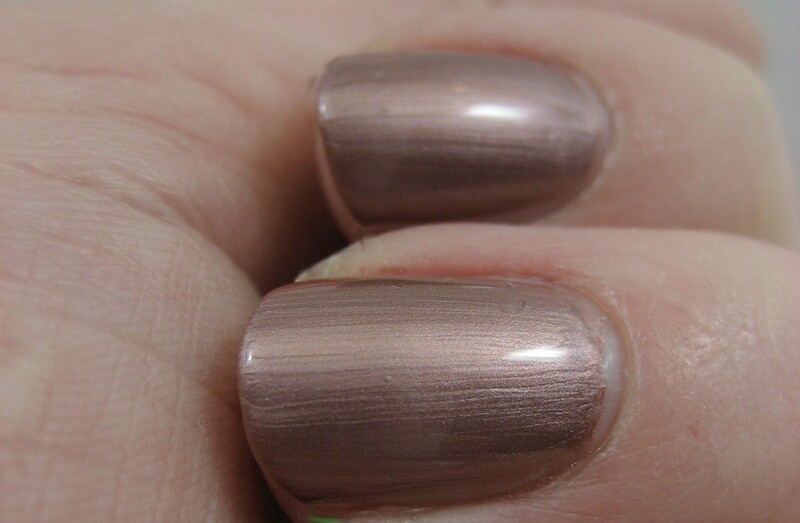 I used two coats and found it a little streaky, which isn't surprising for a color like this. I'm guessing it would have evened out with three coats but since I planned to layer on top of it I didn't test that theory. What I layered on top of the pink was one coat of Buddha-ful. 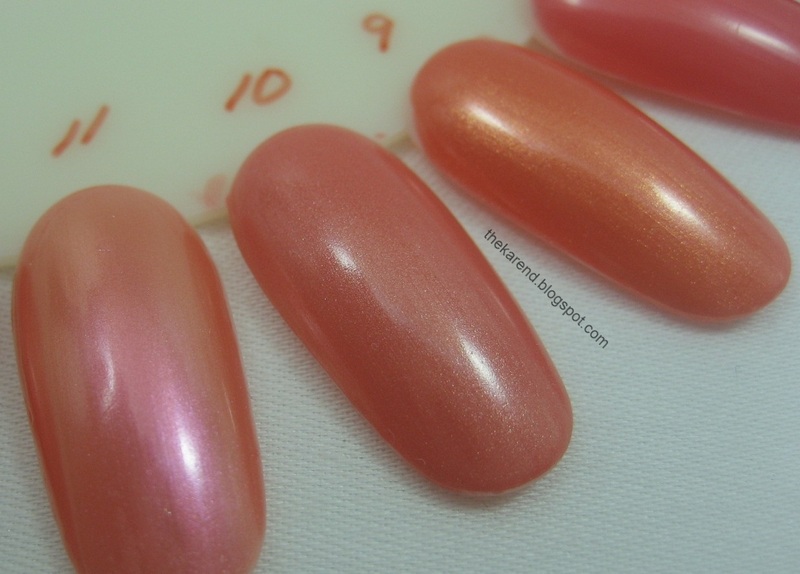 This is a warm pink jelly with greenish flakies. 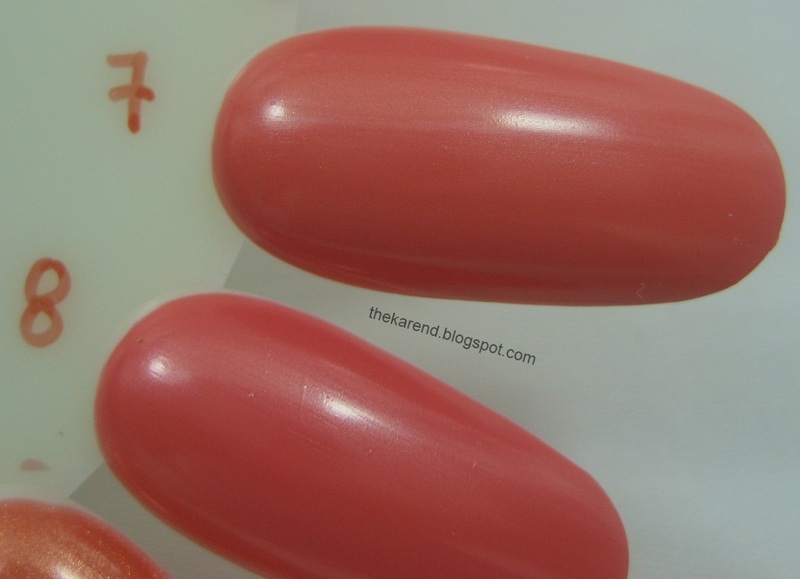 (There was an earlier version of this polish which had more of an ivory/peachy base, but now it seems to have settled on being pink.) I really should have added some topcoat to smooth this out a bit, but I was in a swatching frenzy and didn't want to take the time. 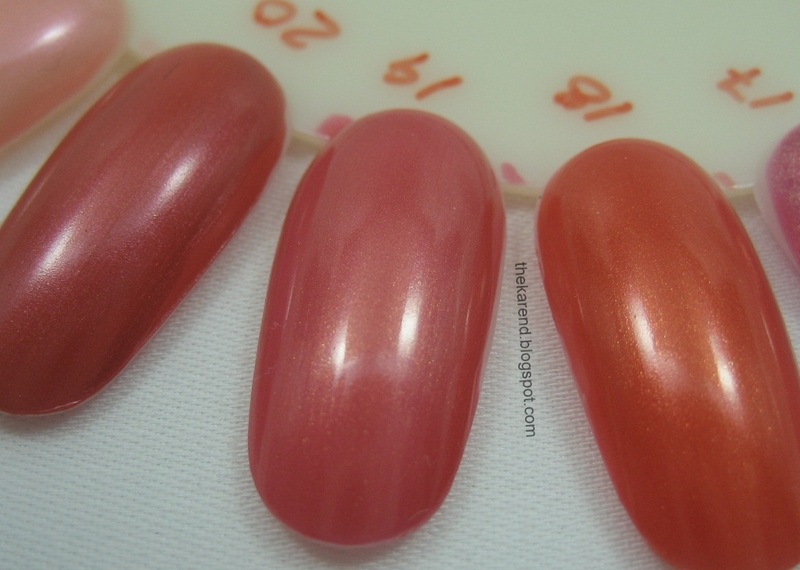 The last polish in the trio, Amber Sparkler, was my least favorite. I liked the color—bronze with a touch of silver—but it was very difficult for me to deal with the brushstrokes. I had to be very careful when applying and a second coat didn't seem to help things settle out as I'd hoped. I think what's missing for me is some sparkle; if there were little flecks of something in there I bet I wouldn't notice the lines so much. It did look better from a distance; the frostiness was not so obvious in real life, when my hands are very rarely as close to anyone's eyes as they are to the camera lens when I am taking pictures. Since I had Buddha-ful within reach, I tried adding that on top of Amber Sparkler. I had hoped only to obscure the brushstrokes, so was quite pleasantly suprised to see that the darker base brought out a periwinkle shift in the flakies. 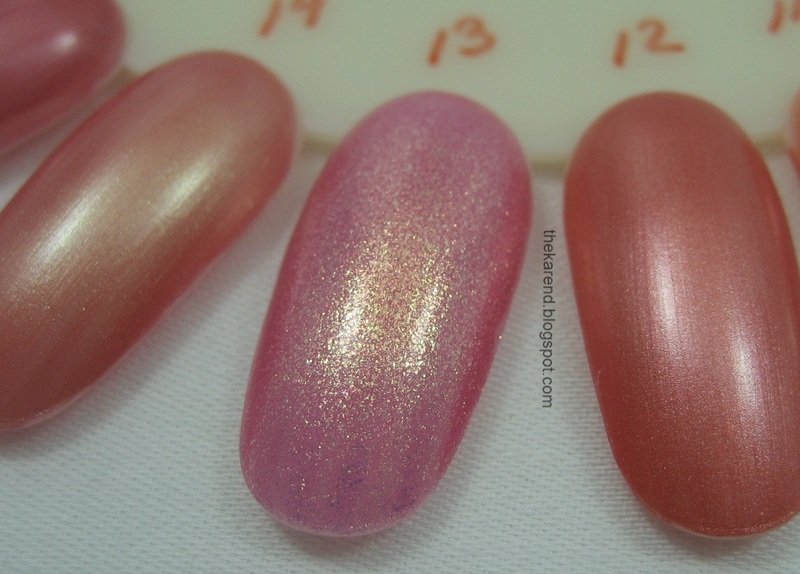 I saw hints of that over the pink, but over the bronze it was really obvious and really pretty. Pink Quartz and Amber Sparkler are both part of Gem Stone Earth collection for Spring 2012. Buddha-ful was originally released as part of last year's Karma collection, but it's still readily available and would be my pick of these three. 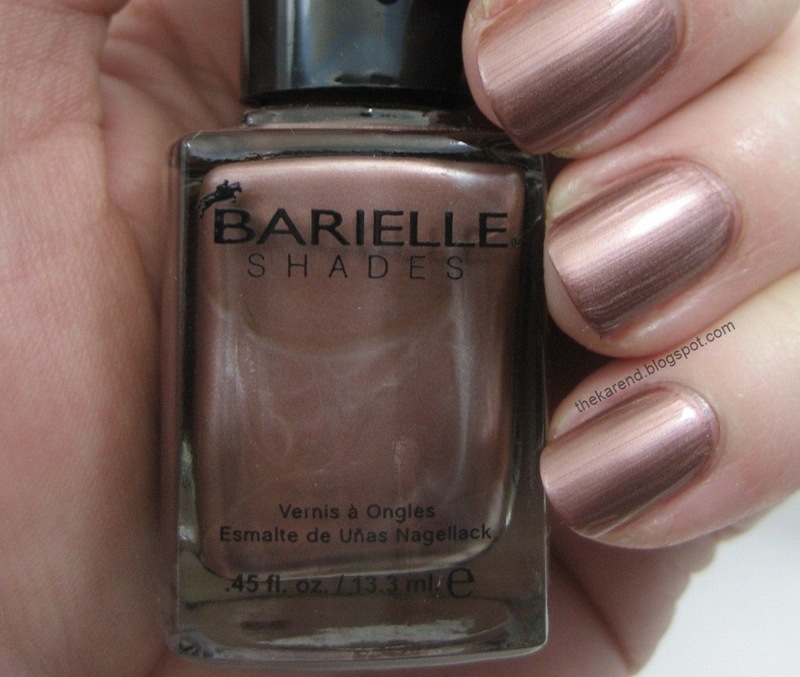 Barielle polishes retail at $8 for a .45 fl. oz. bottle and are often on BOGO50% sale at the Barielle website. 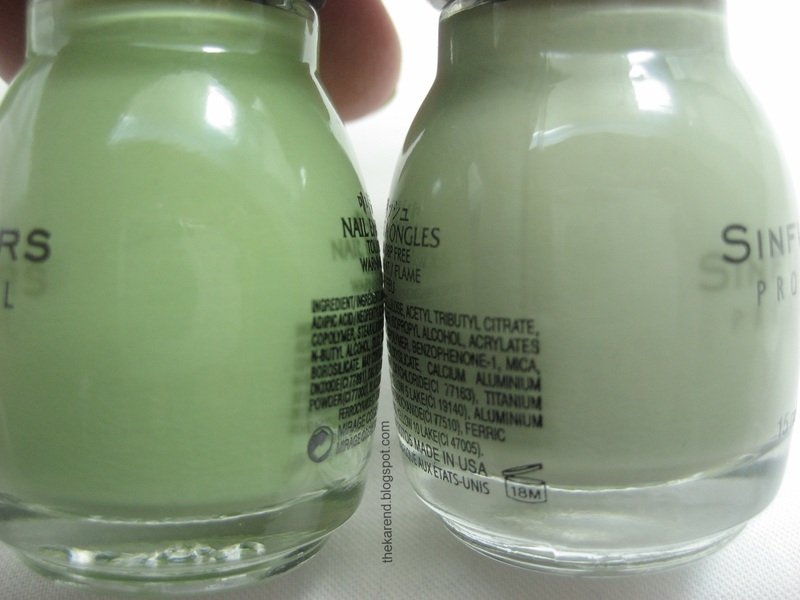 I mentioned last week that the polish in Essie's spring collection this year which caught my eye was the green, Navigate Her. Well, it didn't take many exposures to that display for me to pick up that green and bring her home with me. 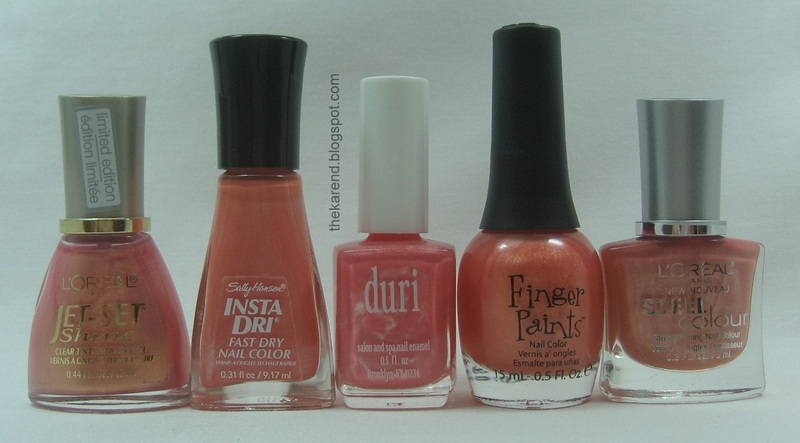 It applied so nicely in two coats and even though the color does bring out the rosy glow in my skintone (a.k.a. "lobster hands") it makes me happy. This kind of green, light and yellow toned, is so spring-like and makes me think of the trees when they first leaf out and the shoots of perennial flowers poking up through the soil (if not for perennials, I'd have no flowers in my yard at all). 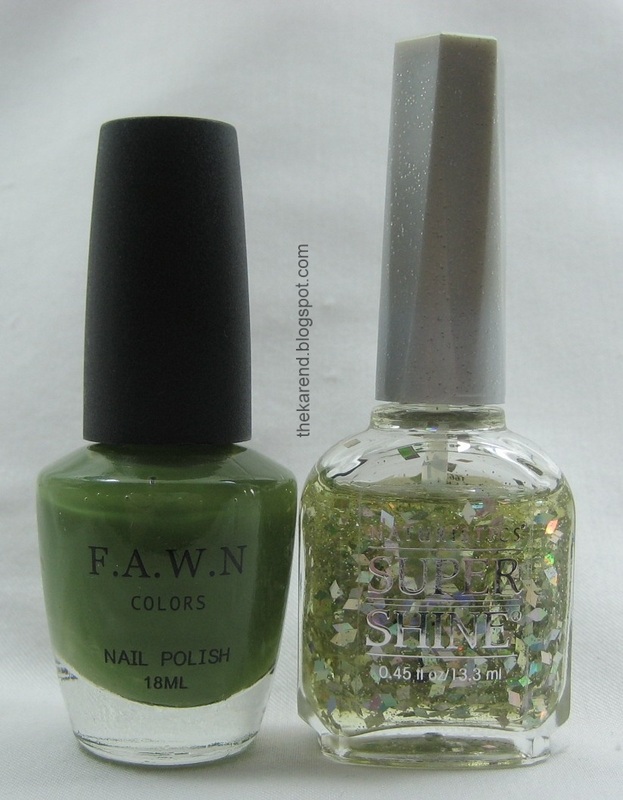 Since I like this shade of green so much, I also picked up Olympia from the Sinful Colors Cast Away display. Someone less driven to find out for herself just how similar the two colors were might have been happy to just hold the bottles side by side in the store and choose one to bring home, but I had to have them both, especially since the Sinful is only $1.99. In the photo below, I've got Essie on two nails and Sinful on two (and still have not figured out how to hold two bottles at once and look good doing it). 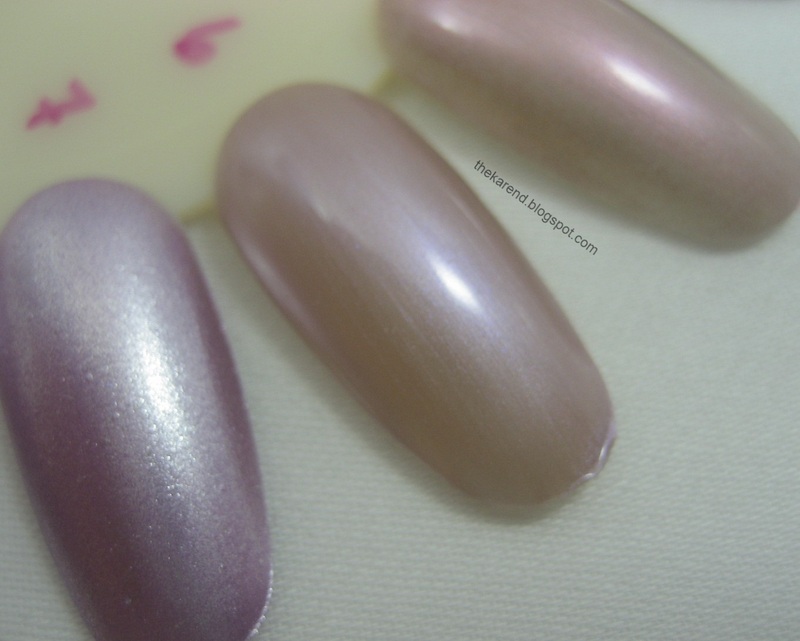 Both of these were two coats, though the Sinful was a bit harder to apply since it was more goopy. 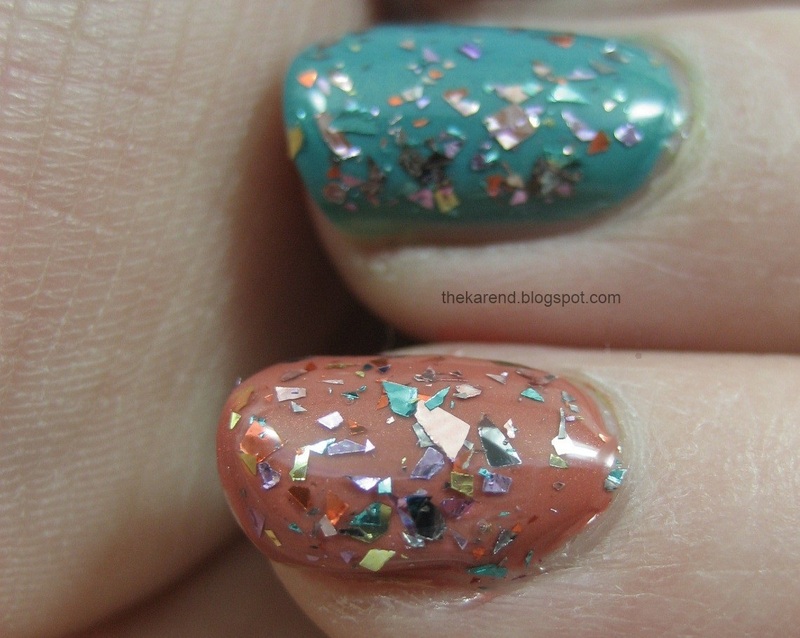 On my nails above, top to bottom, it's Essie, Sinful, Essie, Sinful. 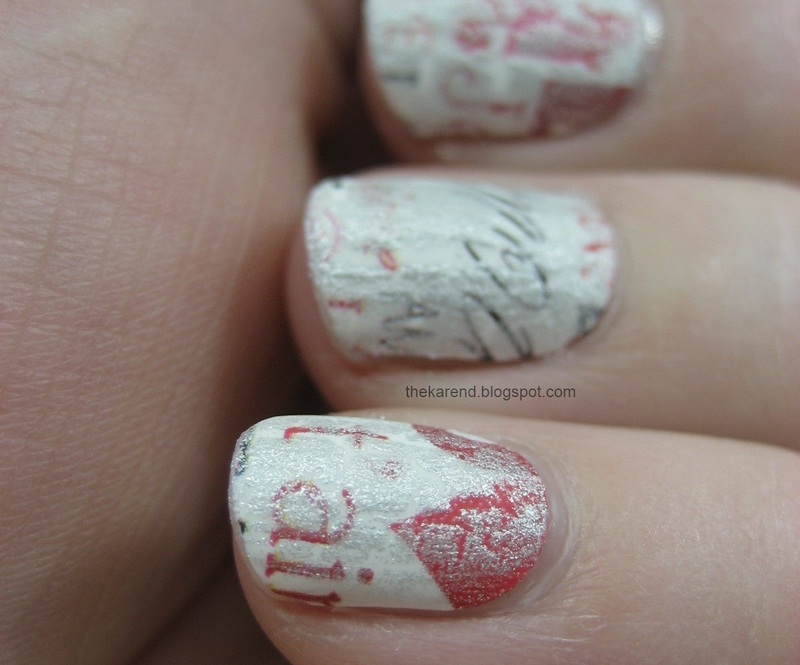 Below, Sinful on top, Essie on the bottom. The Sinful is just a touch more vibrant, but you have to look really closely to see that difference. 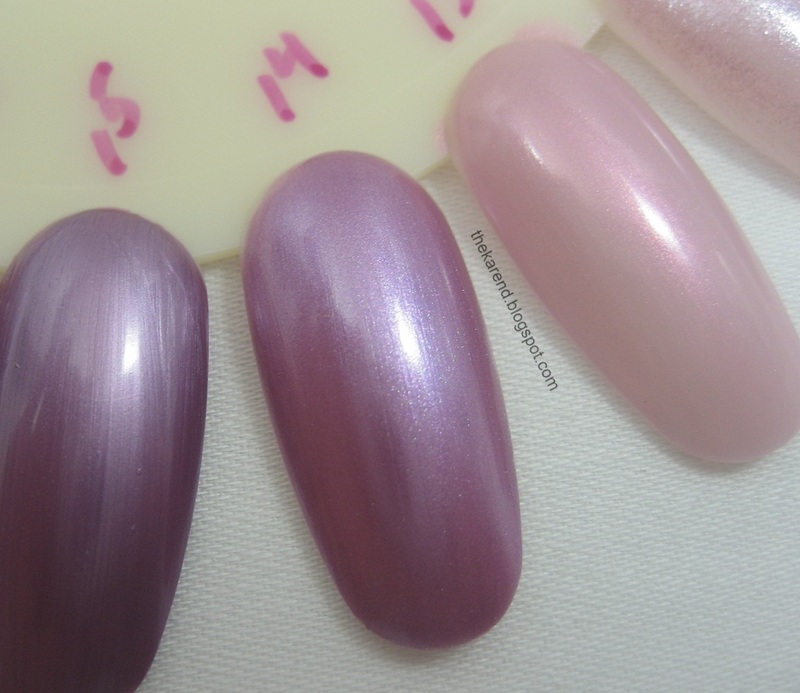 Since I like the Essie bottle and formula more, I'm planning to keep that one, but if I hadn't already bought the Essie, I think I'd be happy with the Sinful (once I added some thinner). On another note, when I first saw the Sinful Cast Away display, some of the colors reminded me of their pirate-themed collection from last year. For the light green at least, I was way off. Here's Olympia on the right and Seaweed on the left; Seaweed is much cooler toned and more dusty. 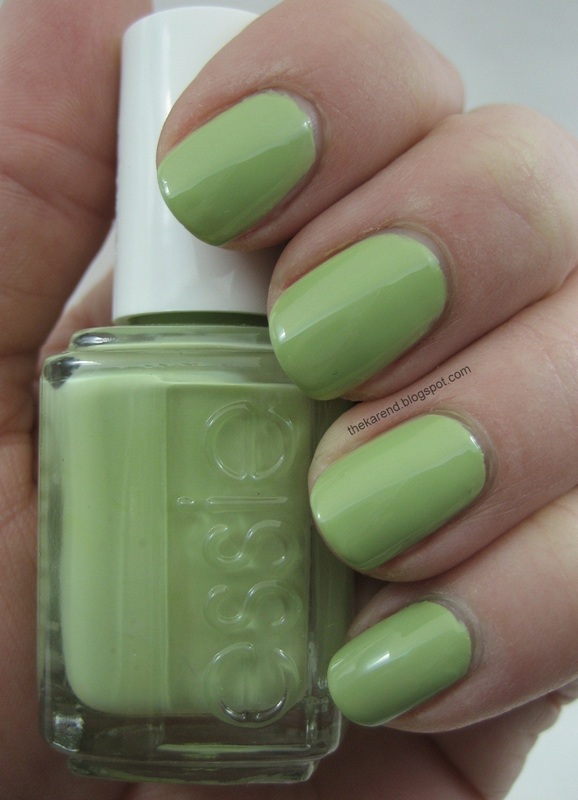 What do you think about spring greens on your nails? Have you already picked up one (or both) of these? Today for Nail Wheel Wednesday I have one of the ones that provides true testimony to how committed I am to collecting nail polish, because these peaches and oranges are mostly not flattering on my skintone (nor are they bright enough to get Mr. Karen's attention/approval, which is why I sometimes find myself adorned in some shade that's better suited for his complexion than mine). Yet here they are in my stash.